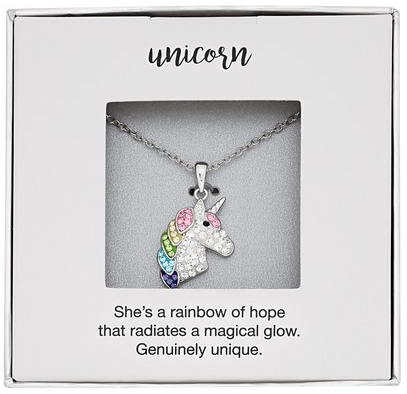 Kohls has unicorn pendants on sale for $19.99, down from $50. 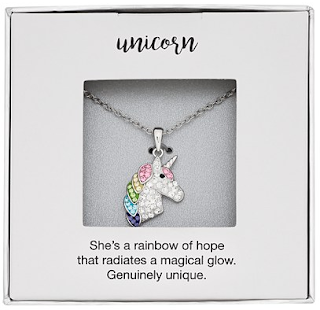 In addition, use promo code SHINE20 (for 20% off jewelry) and COLD (for an extra 15% off) bringing the price down to just $13.59. If you are a Kohls credit card holder use promo code PINK30 (for 30% off) and SHINE20 (for an extra 20% off) and FEBMVCFREE (for free shipping) bringing the price down to $11.19.